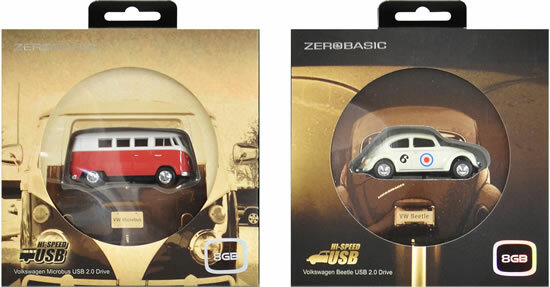 Greenhouse today announced the launch of die-cast Beetle and Volkswagen microbus type 8GB USB2.0 Flash Drive in different colors. The USB connector comes out from the rear of the Beetle and microbus, while sliding a lever attached to the chassis. The replica of Beetle and Volkswagen microbus is made as per standard from Welly Die Casting. When connected to a device, the headlights of the memory drive lights up. During use, the lights blink.The collectors drive comes in a special mini pouch.